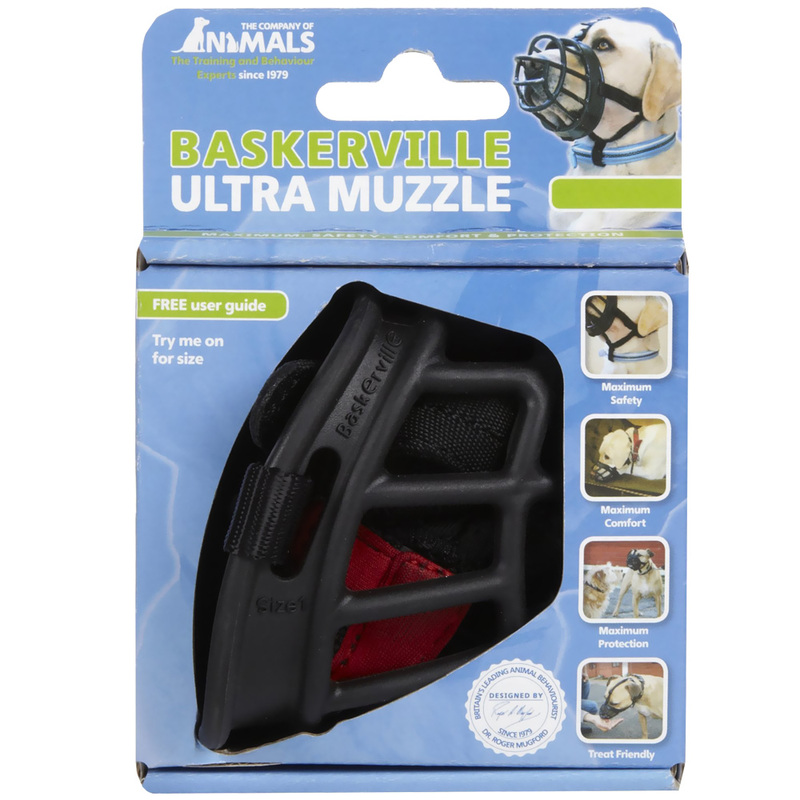 Baskerville Ultra Muzzle is the ultimate dog muzzle! Every aspect of this basket muzzle's design has been created with the intent to combine maximum safety and comfort for your dog. It has taken four years to develop, and we believe that it was worth the wait. 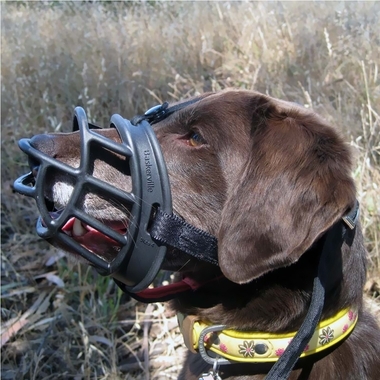 Safety note: While a muzzle can be very useful as a safety backup when training your aggressive dog, they can be harmful or even dangerous if your dog is repeatedly exposed to a situation which causes him to try to bite while muzzled. 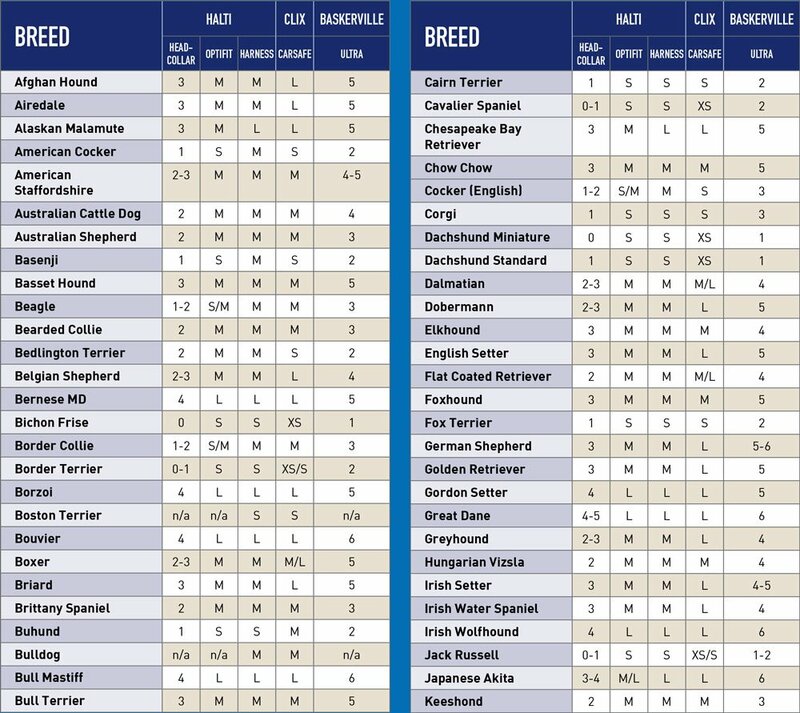 We strongly recommend working with an experienced positive trainer who will help you to teach your dog to be comfortable in situations that are currently making him aggressive. 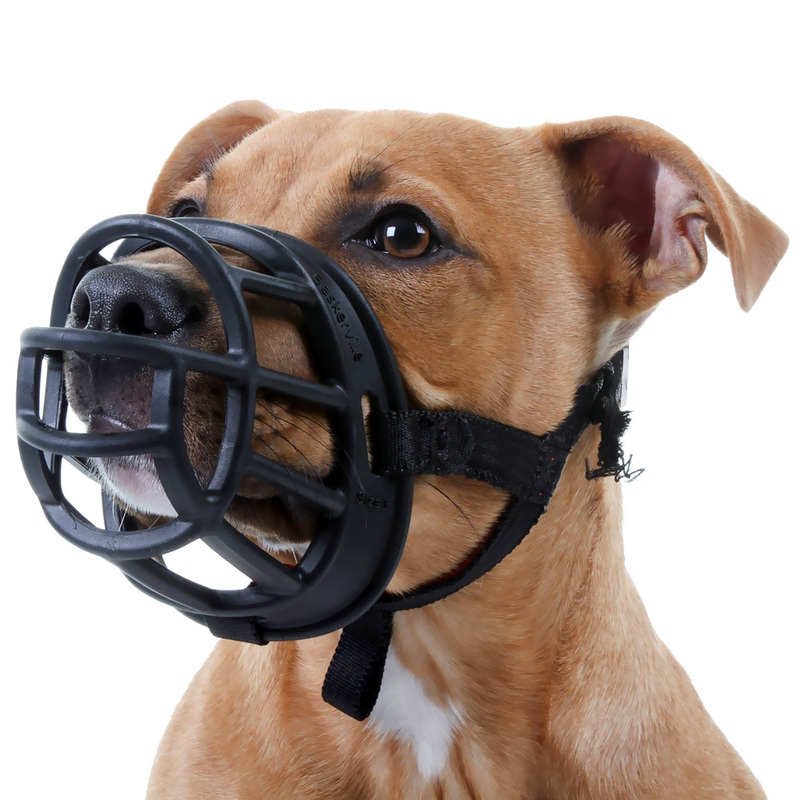 We also recommend that you supervise your dog at all times when he or she is wearing a muzzle. 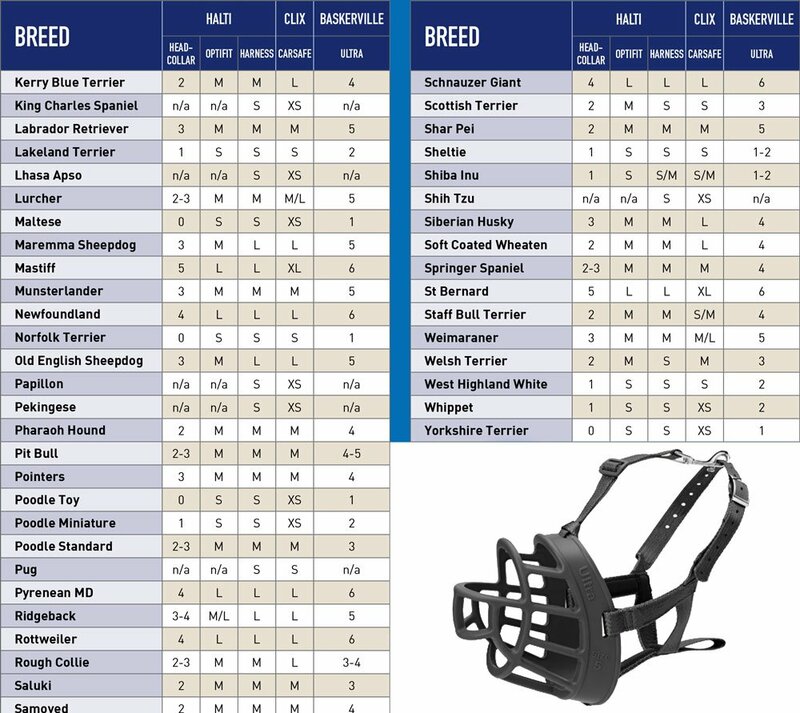 Designed by Veterinary Behaviorist, Dr. Roger Mugford, to be the most secure and comfortable muzzle available. Secure Fit with optional and removable over-the-head safety strap! Comfortable neoprene padding on the straps for comfort. Allows panting, drinking and treating.